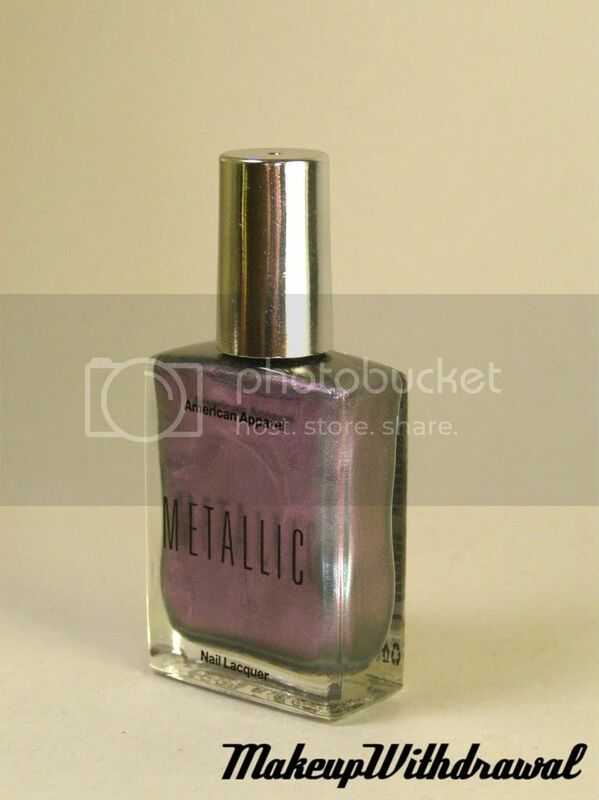 Of the few American Apparel polishes I picked up last week, this one is my absolute favorite. It's a metallic called Smoke Dazzle and it's exactly what I wanted Wet'n'Wild Gray's Anatomy/OPI Not Like The Movies/Deborah Lippman Wicked Game to be, only without the streaky brush marks that shows up in frost finishes. 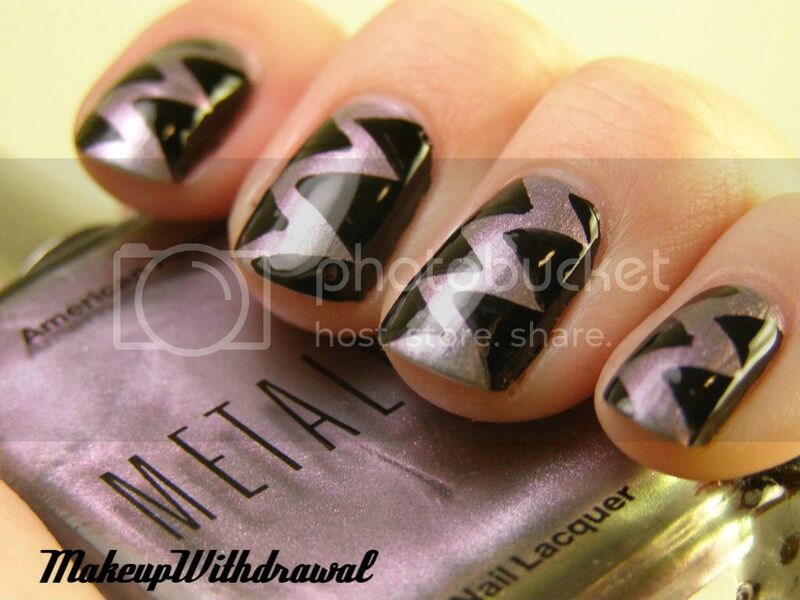 It's a metallic duochrome that is almost pearly. Grey in the bottle, flashing purple and green in a subtle way. It's just amazing. I'm not sure how this metallic avoids the brush stroke marks, but it's stunning. Gleaming. 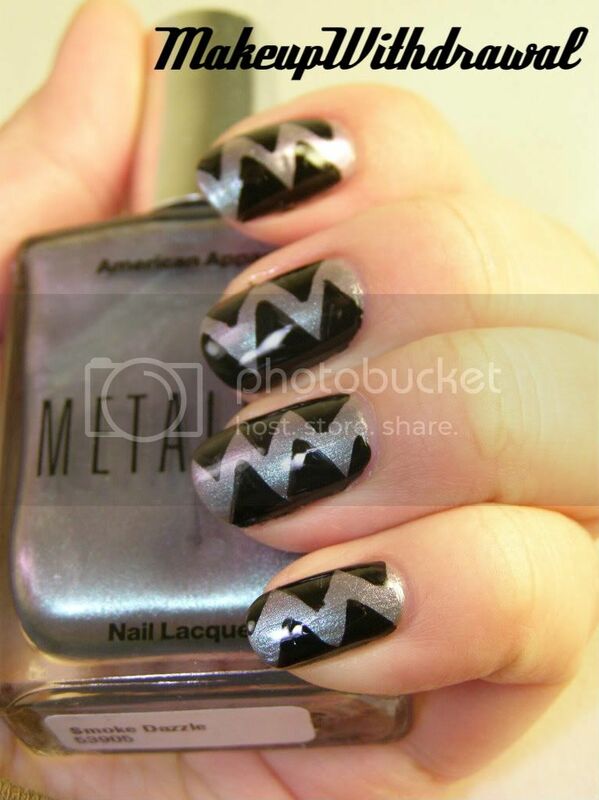 I freehanded some triangles (Konad Special Black polish), which gives it a sort of lightning bolt look. It would have been much neater if I had use scotch tape (like Nailside's awesome manis) but I was too impatient, as usual for the color to dry. Have a great night, and a wonderful week!